Vitreous Enamel – A brief overview of the history, manufacture process, properties and uses of these versatile products. Vitreous enamel, also known as porcelain enamel in the United States, has been used for thousands of years. Initially used for religious and ceremonial items and then also for Jewellery of the highest quality. The application of vitreous enamel is described as enamelling. The application of enamel to domestic articles such as pots and pans probably started in the early 19th century in central Europe. The first metal used for this purpose was cast iron. Today, vitreous enamel can be applied to copper, gold, silver, cast iron, steel and aluminium, dependent on the enamel formula. Production of vitreous enamelled articles varies from craftsmen producing one off items in precious metal to factories producing up to 12000 cookers per week with a very high proportion of the parts coated with vitreous enamel. 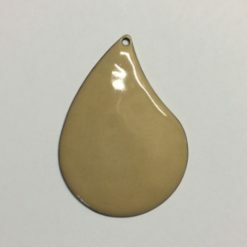 At W.G Ball we manufacture high quality opaque and transparent vitreous lead free enamels for the industry and craft markets. To produce a vitreous enamel we start by grading and accurately weighing out the raw materials from a standard recipe, the raw materials are then mixed and sieved ready to be put into crucibles (See Fig 1 – sieving raw mix, Fig 2 – sieve raw mix recipe video) for firing / fritting. A 5 Kilo batch of raw materials will fit in four crucibles (See Fig 3 – filling crucibles for firing) which will then be carefully placed on the kiln batt and fired once the correct firing program has been chosen. Test for melt and colour, adjust if required. (Fig 5 – poured into water). The enamel is now ready to be dry ground on a porcelain ball mill (see Fig 6 – enamel on ball mill), graded and sieved to pass a 60s mesh. Finally we check the finished enamel for surface and colour by melting on a trial plate next to the colour standard. (Fig 7 – std and new enamels on trial plate) If passed by our Quality Control it’s ready for the customer to use. Here at W.G Ball we have been producing Vitreous Enamel since 1954, predominately for the Jewellery industry. Vitreous enamel has many useful properties for carrying out a variety of tasks…. it is hard, smooth, durable, has long lasting colour, cleans easily and cannot burn, making it the perfect material for the Jewellery industry as well as many other industries! Also, as enamel is glass and not paint, it doesn’t fade over time! The fact that Vitreous Enamel cannot burn is one of the main reasons that it is used to produce the globally recognisable London Underground signs. Following the Kings Cross fire in 1987, where combustible materials underground were the main cause, using Vitreous Enamel to produce these signs become the norm. 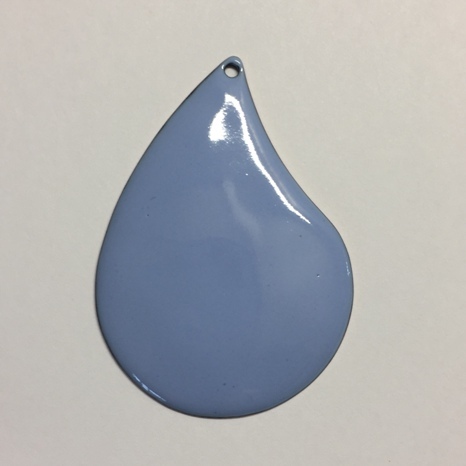 At W.G Ball we stock over 130 beautifully vibrant colours of vitreous enamel powder including reds, blues, oranges, greens and violets. 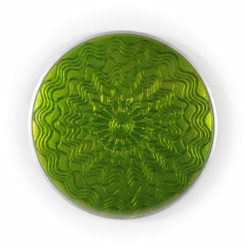 We stock both transparent and opaque vitreous enamel. 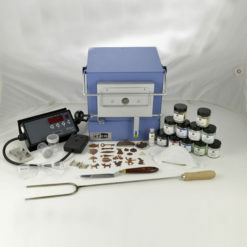 To produce colour enamels there needs to be the addition of certain minerals to the frit, usually metal oxides including cobalt, praseodymium and iron. Enamel can be transparent, opaque or opalescent and different enamel colours can be mixed to make a new colour.